At York County Natural Gas, we understand that energy costs can be one of the major factors in a company’s decision to expand or relocate. We are committed to providing our customers with cost-effective, clean and reliable energy for your business needs. We have the construction resources you need to get natural gas to your next project. We’re here to support you from installation services to meter placement and efficient gas appliances. 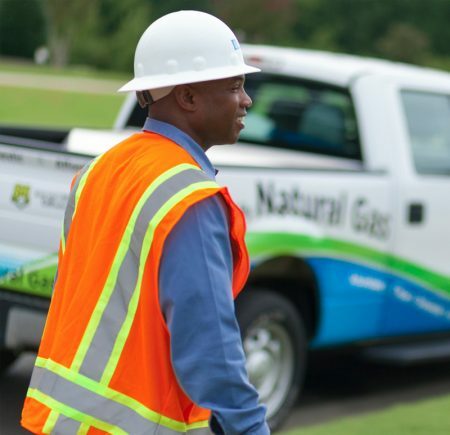 Contact us for assistance in bringing natural gas service to your development. Arranging for meter sets to be completed (typically within 72 hours of your call, excluding weekends and holidays). To inquire about the availability of natural gas to your industrial site call Business Development at (803) 323-5354 or email us. We will respond to your request as quickly as possible. York County Natural Gas Authority will normally extend service lines up to 300 feet provided central heating system (gas pack or central furnace) and water heat are installed. 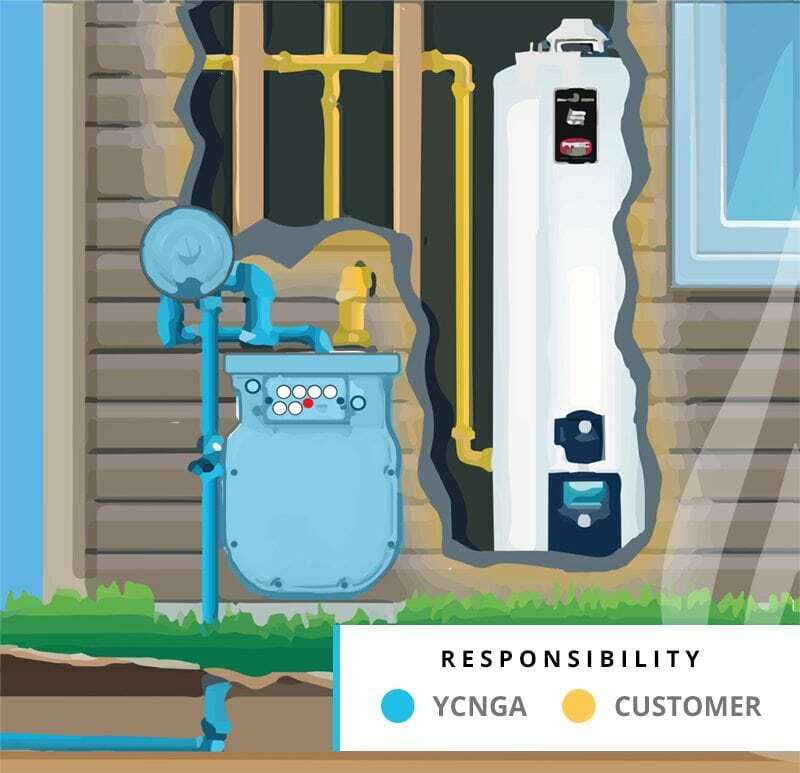 YCNGA is prohibited from installing a meter without evidence that the piping has been tested, inspected and approved in accordance with the appropriate codes. The installation of the house piping is subject to inspection and approval by an authorized representative of the municipal or county regulatory agency having jurisdiction. 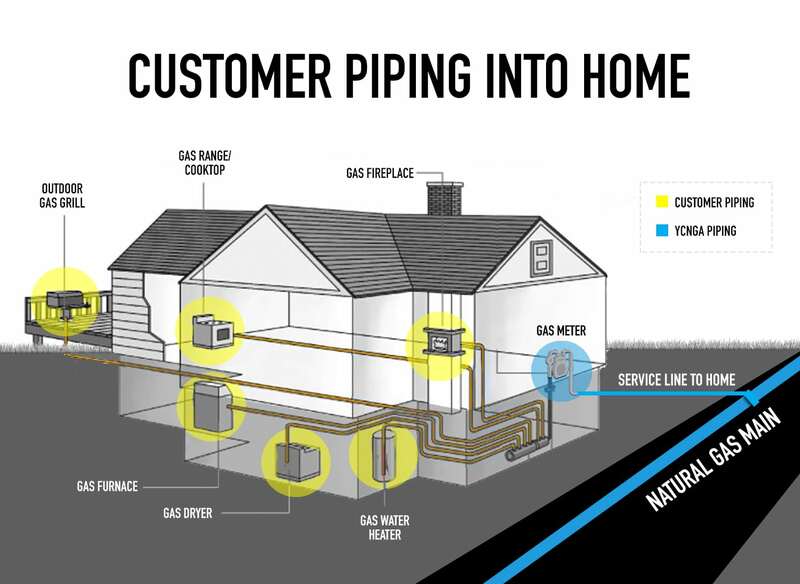 The term house piping refers to pipes installed between the meter and each natural gas appliance located in the home. The customer is responsible for the installation and maintenance of all piping from the meter to your natural gas equipment (i.e. space heater, water heater or stove, etc.). YCNGA is licensed to install house piping to any appliance that we sell (installation costs vary). Please contact our Sales and Installation Department for additional questions regarding house piping. 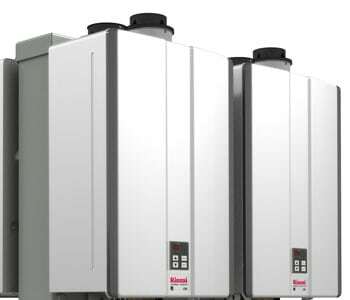 Give your buildings a more efficient and reliable source of hot water with the Rinnai Energy Star certified condensing tankless unit available in indoor and outdoor models. 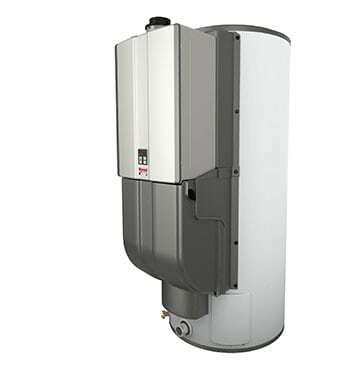 Tankless water heaters supply commercial buildings with an endless supply of hot water while saving thousands in operational and life cycle costs. Tankless technology provides an endless supply of hot water and the Tankless Rack System provides the ability to link multiple units together, giving redundancy and ensuring the business remains open 24/7/365. 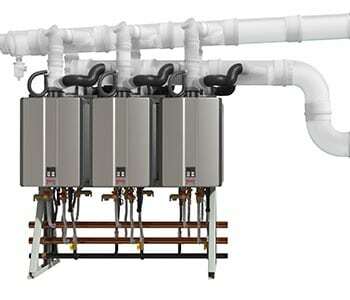 When operating, multiple tankless water heaters linked together with multi-system controls are designed to supply equal amounts of hot water. The Demand Duo provides hot water performance for peak demand, with a supply that goes the distance. Combining the on-demand, continuous supply of tankless with a 119-gallon tank, condensing technology produces consistent water temperatures for smooth business operations and multiple venting options offer installation flexibility. York County is known for its commitment to promoting business growth and expansion while offering economic opportunities and efficient energy sources. The Authority works diligently to provide natural gas service to any industry interested in locating to our service territory. Mains may be extended to serve prospective industrial sites with a qualifying load. To inquire about the availability of natural gas to your industrial site call Engineering Services at (803) 323-5334 or email us. All current industrial parks in York County are served with natural gas. For the locations of Industrial Parks in our service area click here. Our commitment to the communities we serve and to prospective industrial customers is clearly demonstrated by the development of the Westgate Industrial Park in Clover, SC.